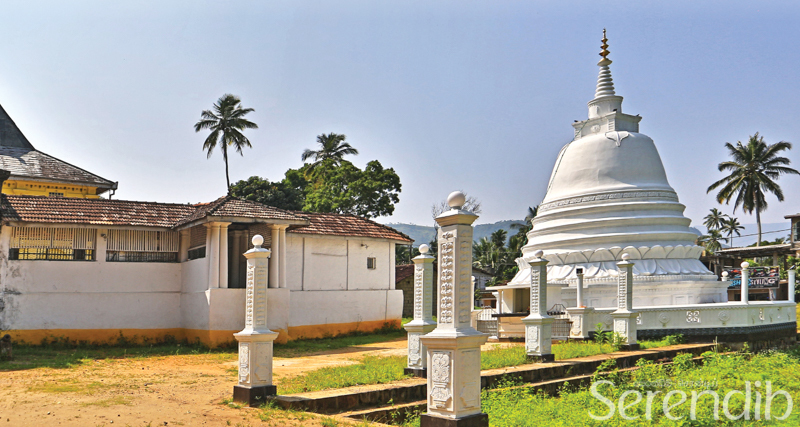 A town where Kandyan kings had sought refuge; remnants of the past can still be discovered in Hanguranketha. 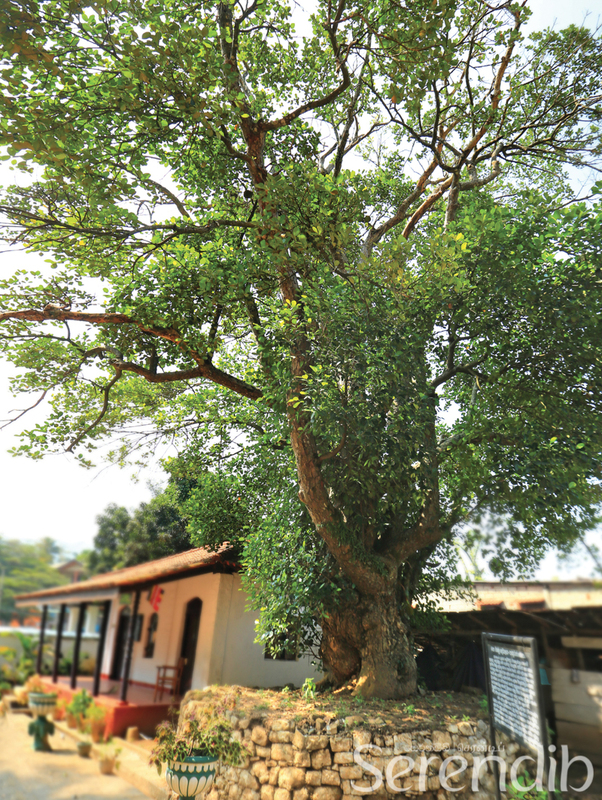 The sprawling Bo tree at the Pothgul Raja Maha Viharaya in Hanguranketha stirred in the wind, creating a gentle rustling sound. As we approached the granite makara thorana (a doorway adorned with the image of a dragon), we were astounded to see a canon placed unobtrusively next to the staircase. The British armies who dismantled the royal palace in Hanguranketha, once used this canon. 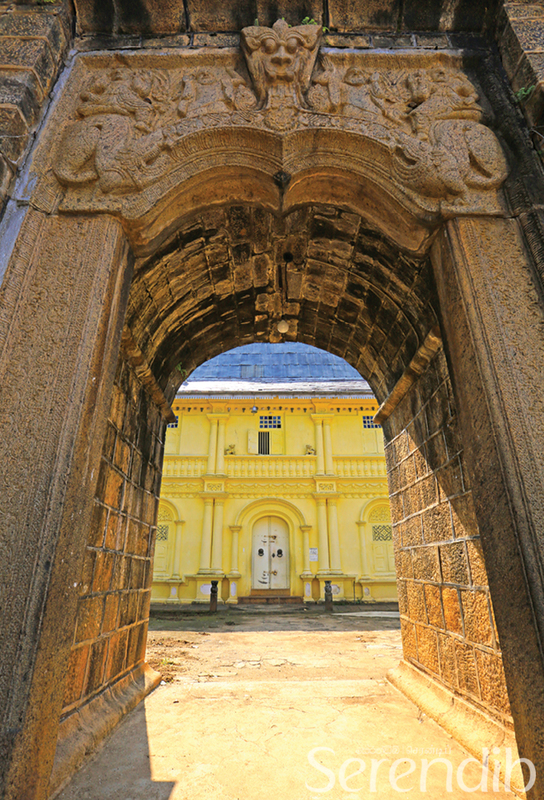 The temple was built in the latter part of the Kandyan era under the guise of constructing a church. The two-storey structure beyond the makara thorana therefore bears distinct European architecture; its façade is adorned with delicate figurines and murals while the wide arches within put to mind the interior of a church building. Inside, the hewisi troupe performs before the annual perahera of the temple. The Image House is constructed behind this two-storey building to avoid detection and contains four separate chambers. The walls of these chambers feature beautiful temple art that dates back to the Kandyan era. Past another makara thorana, a small room bears intricate paintings that include the arrival of Prince Vijaya and paintings that demonstrate the manner in which European influences have changed the styles of the artists of the Kandyan era. 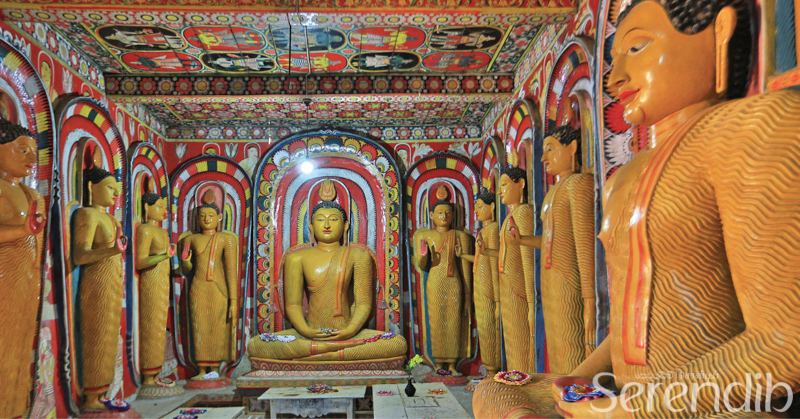 A third makara thorana leads to the main chamber where a statue of a seated Buddha can be seen. 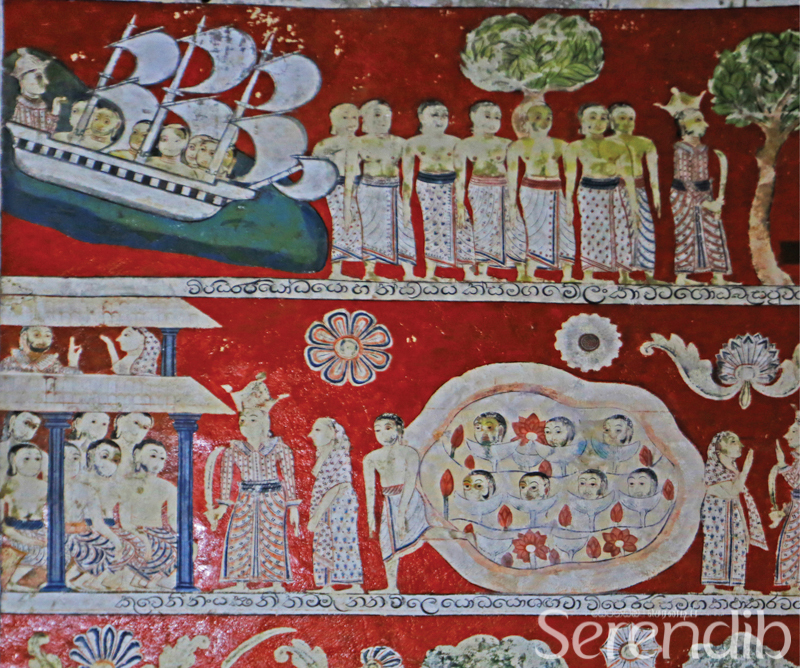 On the ornately painted walls of the room, there are depiction of the previous incarnations of the Buddha, where he received Niyatha Vivarana (receipt of permission). A door from this chamber leads to yet another compact room. 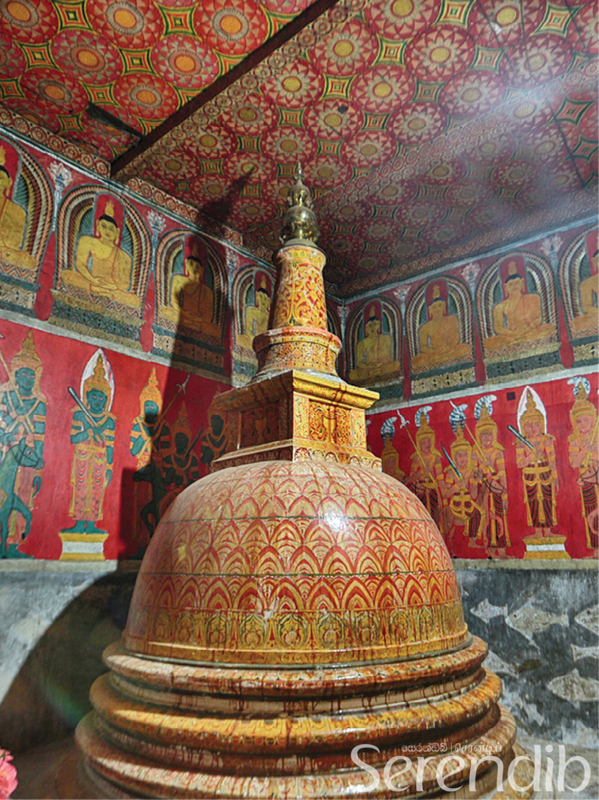 Surrounded by the other rooms for protection, it houses a stupa, painted in colourful and elaborate patterns. The remnants of the dismantled palace including floor tiles, pillars and doorways were brought to the temple premises and used in the construction of the temple. At the Image House, these remnants can easily be seen. Exiting the main chamber, we entered the second room, which contained statues of the 28 Buddhas. Depicted on the walls was the battle between the Kings Dutugamunu and Elara. A pancha makara thorana carved on granite opens to reveal the statue of the reclining Buddha. A small Vishnu devalaya is also located within. Leaving behind the Image House, we once again made our way to the two-storey building, passing a beheth oruwa (medicinal tub). Climbing a wooden staircase, we were fortunate to see the casket bearing the Sacred Relics as well as several ola-leaf books bound in ivory, gold plated and gem embedded covers. Before leaving the temple, we stepped into the library where the ola-leaf books are kept. It was because of these books that the temple received the name ‘Pothgul'. After carefully browsing through the delicate pages of the books and admiring the fine handwriting, we bid a respectful adieu to the temple. Our next destination aferwards was conveniently situated next to the temple. The ambalama is a wayside shelter where travellers in the past rested. 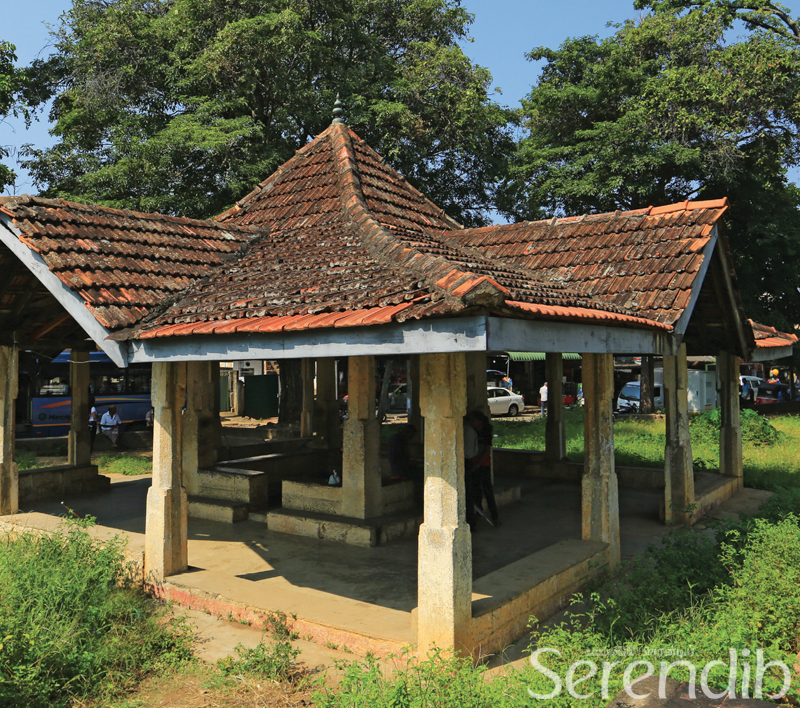 The open-air structure dates back to the Kandyan era, with stone pillars creating an inner and outer chamber and a clay tile roof. Its low walls are perfect to sit on underneath the shade, while a pinthaliya (a vessel with drinking water) is placed nearby underneath the shade of its own alcove. The Maha Vishnu Devala in Hanguranketha was situated directly opposite to the ambalama, and had already captured our imagination. As children, the adventures of Andare, the famous and witty court jester of King Keerthi Sri Rajasinghe had entertained us. In one tale, Andare eats the jackfruit reserved for the king, earning his ire. Enraged, the king orders the execution of the court jester; only Anadare's quick thinking calmed the King and earned his pardon. 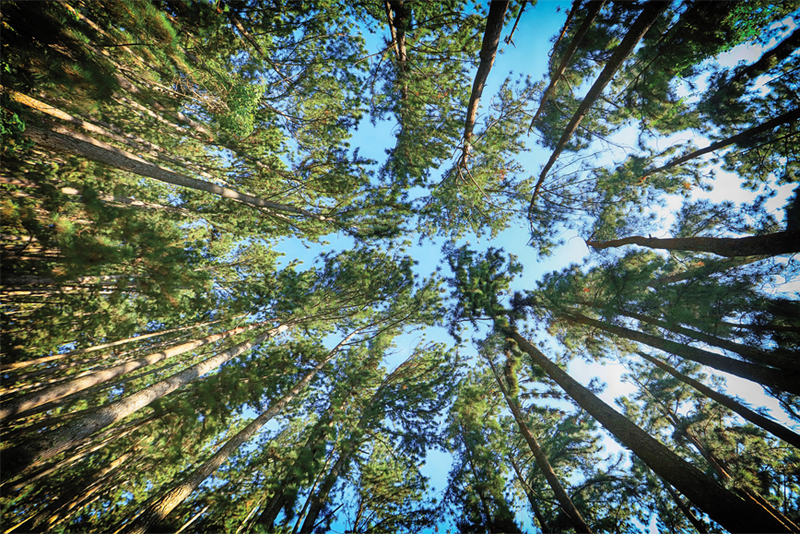 According to popular belief, the very jack tree that bore the fruit that tempted Andare to this daring act can still be found within the premises of the Maha Vishnu Devalaya. The paved courtyard led to the columned devalaya, shaded by a clay-tiled roof. A triangular shaped moonstone led to the inner sanctum where the statue of God Vishnu is placed. 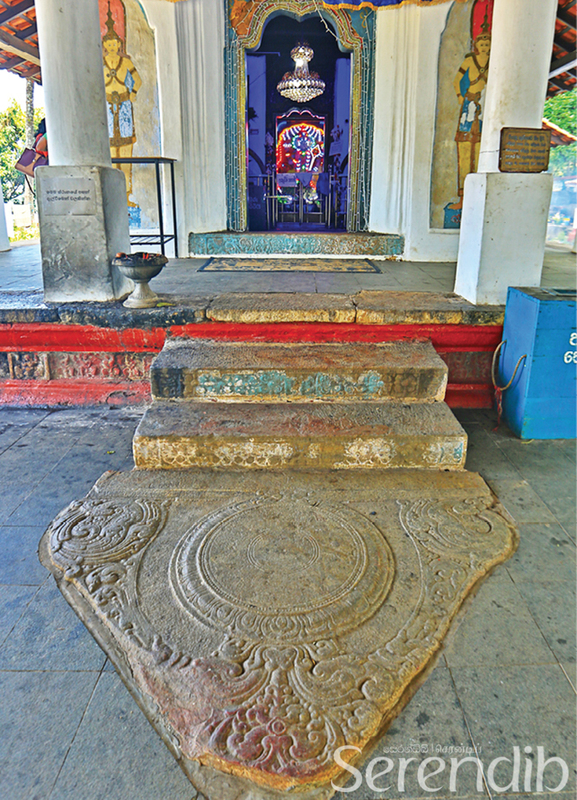 A smaller devalaya dedicated to God Dadimunda is situated further within the premises. 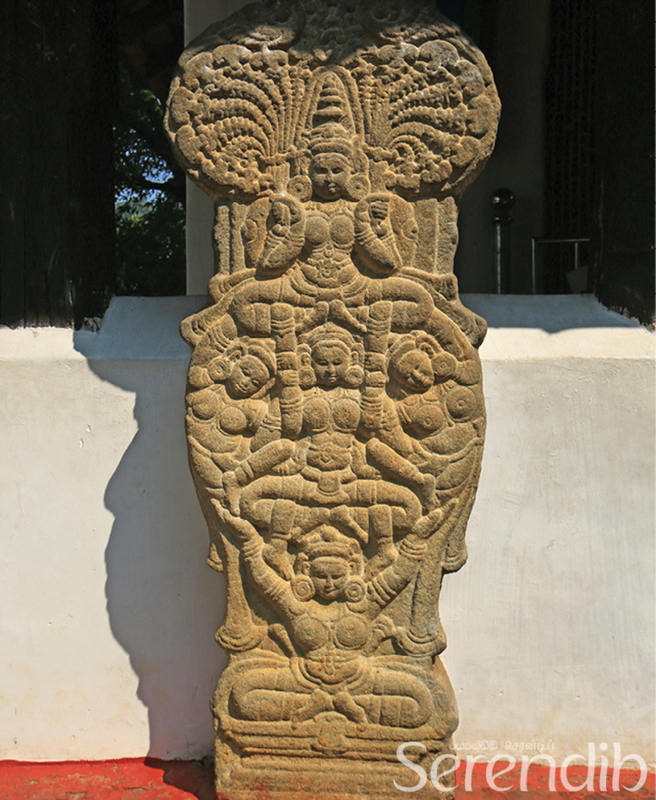 Next to the entrance, a beautifully carved granite pancha nari gataya - the only one of its kind - stood. 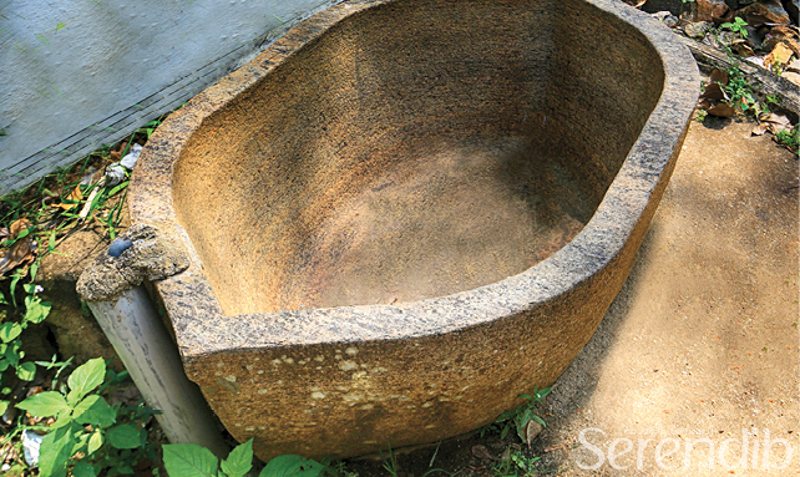 A replica can be seen at the Temple of the Tooth Relic. Steeped in history, as well as surrounded by legend and folk tales, Hanguranketha is an ideal destination in the hill country to enjoy. 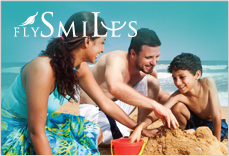 Travel through winding roads with panoramic views and learn about the history of the town.